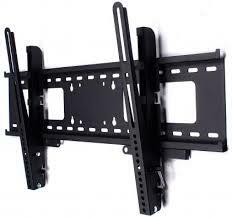 A quick guide to help you choose the right wall mount for your flat panel. Flat Mounts are the simplest of all the mounts. 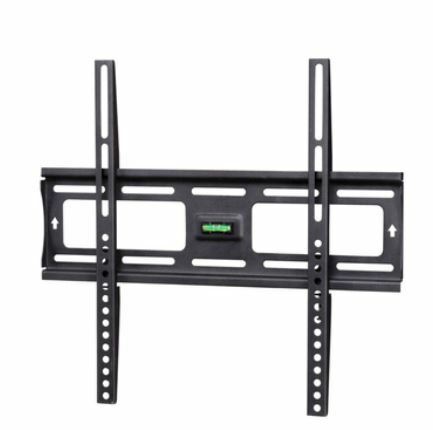 Two vertical bars are usually attached to the back of the TV and then those bars are hung over a wall bracket and secured. Since they aren't required to move at all they will give you the cleanest slim profile for your tv. They are also the least expensive of the group. 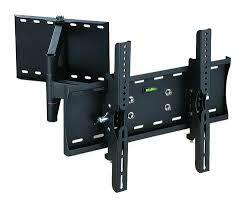 Flat mounts are a must if your guests walk into the room and are looking down the wall that the tv is hung on. My flat mounts are 0.8 inches from the wall to the back of the TV. Tilt mounts are the same as flat mounts except the two bars that attach to the TV have the ability to tilt (up and down only) about 10 to 15 degrees. Because you need to tilt the tv there is significantly more space between the tv and the wall. Usually about 2 inches or so. Tilt mounts are essential if you want to put the tv high on the wall. Also if you feel your going to be changing or adding wires the tilt mount might be perfect. Full motion mounts (sometimes called fully articulate mounts) are made in a variety of ways. The key difference with this mount is it allows you to pull the T.V. away from the wall and turn it horizontally (around the vertical axis). This is a great feature if you have a living room TV and the kitchen is off to the side. Be Careful though. This mount can not be mounted to walls with metal studs. I'll explain more in a different section but just know that you will need extra strong walls to mount your TV with this mount. If any questions ask a professional. Some of the disadvantages are that they don't sit as well when put flat against the wall and need occasional adjustments over time to keep level. They also put up to 4 times the forces on your walls. Which One Is Perfect for Me.? Only you can answer that question. Are you looking for a mount that is clean and tight to the wall where you want to mount it and forget it? Then a flat mount might be right for you. Are you going to be changing wires every week or wanting it placed unusually high on a wall? Then you might consider a tilt mount. Do you have strong walls with wood studs or concrete on the other side and have a need to turn the tv up to 90 degrees for viewing? Then look closely at the full motion mounts. If your still confused give me a call or send me an email with pictures and I would be happy to help you out. Or if your ready to mount the tv just book the appointment. I carry at least 30 different brands and mounts with me to every job. I'll help you decide and probably save you a lot of money in doing so. My last customer returned three mounts and purchased mine and saved enough money to pay for my services.